It is normal to want to always drink clean, safe water. If you were always unsure where your water was coming from, you would definitely want to take the time to find a way to filter the water before using it. 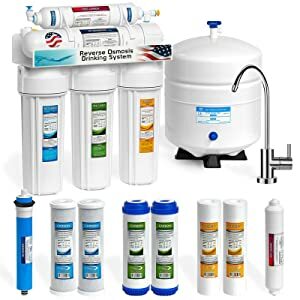 There are many types of filters available on the market today, but most people find themselves opting for the best reverse osmosis systems. The technology has been around for a while and it always delivers a high-quality result to the users. How to Choose a Reverse Osmosis System for Home use? Benefits of Reverse Osmosis System for Drinking? 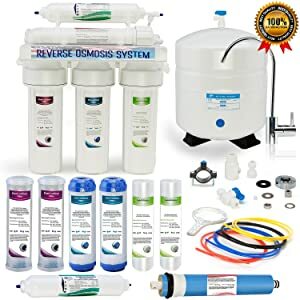 How to Install Reverse Osmosis System? How does a home Reverse Osmosis System work? 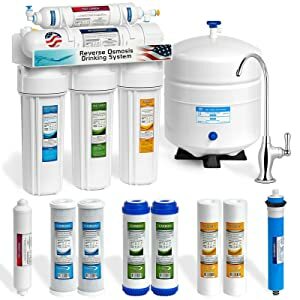 Where to buy Reverse Osmosis System? Now that you have an idea where to start, you want to know where to get the best RO system for your money. If you are going to select the best available model, you have to consider the features each one has to offer. Not all models are created the same. You want to find one that comes with superior filtration features, compact construction, ease of installation and maintenance, and affordability. With this guide, you should be able to make up your mind easily on which model water filtration product you want to get for your house. This model comes with something new to offer anyone looking to get a reverse osmosis system for their homes. It comes enhanced with alkaline, which is important for restoring the minerals that are lost in the reverse osmosis process. The magnesium and calcium are added back to the water even after being stripped away. This will further help to improve the taste of the water as compared to some of the bottled water that people buy in stores. The rejection rate for the contaminants is up to 99 percent. This figure is important to tell you just how much of the impurities are removed in the reverse osmosis process. Since reverse osmosis is one of the most effective methods of water filtration, this product allows you to easily remove the common contaminants to the highest degree. You will also like the design. Even though it will be under the sink, it still looks great. With its upgrade to improve functionality, you should find that this model delivers the best possible performance at all times. The fact that this is a six-stage model is further proof that the performance would always be what you need. It will deliver around 75 gallons per day of filtered water. At this rate, you should never have to go a single hour without some fresh clean water. This is small RO system for you to consider. With its small size, it should fit easily in most cabinets in your kitchen. Since it comes from a top brand, you can be confident that it will deliver exceptional performance at all times. With the great amount of contaminants removed, you will easily have almost perfectly pure water. This model features a 5-stage filtration process. This kind of system should deliver the high performance that you need at all times. With the inclusion of the extruded double carbon blocks, you can now get rid of any unpleasant odor, color, and contaminants that might give the water an unpleasant taste. This model is one of the best in terms of capacity, as it delivers up to 90 gallons per day of filtered water. You will find yourself using it often and never lacking clean drinking water. This model is going to give you something different than anything you have used before. It is popular due to an innovative design that helps to keep the system delivering the best drinking water each and every time you need it to do so. It is amazing how it can filter the water in seven distinct stages. These stages are designed to maximize the purity and the quality of the water at all times. When you compare it to other models, you will realize that this model includes a few more stages in the filtration process. This model uses the catalytic carbon filtration media important for eliminating most of the chlorine in the water. Compared to some other models, this one comes with a stage that helps to restore the balance in the water’s pH level. This is important so that the water you end up drinking has the right pH level as well as improved taste. If you get to check out other reviews, you will notice that this model receives many positive reviews. This is good evidence that this model is one of the best and will always deliver on your needs for clean water. More people than ever are looking to filter their water first before using, and they all need a model that works. Well, this one is here to give you all that you need when it comes to the reverse osmosis filtration systems. 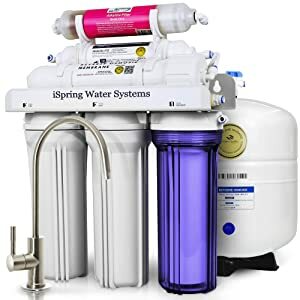 You no longer have to spend a lot of money buying bottled water, when instead you can get a reverse osmosis water filtration system such as this one. This model features a high-performance 5-stage filtration system. This should ensure you end up removing most of the contaminants and also get to enjoy better tasting water. The high quality of the filtration is thanks to the premium NSF filters found in this system. These filters are great in terms of performance, reducing the quantity of the dissolved solids and also removing up to 99 percent of them. Some of the common contaminants include lead, chlorine, bacteria and many more. The system can also be up and running in no time. This is because of the high-quality connection fittings that should be easy to put together even for someone new to the system. Since the parts of the system are 100 percent lead-free, you can use it as often as you like without worrying about any contaminants. This is definitely one of the best, most-rated water filtration systems you will see on the market. The first important thing to note is its size—you will find that it is a perfect fit for using it in kitchen cabinets. The manufacturer also made it simple to install, so you can do it at home without necessarily needing the services of a plumber. The use of the 5-stage filtration system is common, but with this model, you get a lot more. The performance will be of the highest level, with increased efficiency of water filtration process. The 5-Micon filter in the first stage is important for removing both large and fine particles from the water. The other stages ensure the water is safe and clean for drinking. Many people who have used this model agree that it is one of the simplest ways to filter your water at home. You can get one today to find out more benefits of owning this excellent model. This is another top model that has been a popular favorite for a long time. This model will always be appealing to many people because it can deliver the level of performance they want with ease. One of the features that people like most is the capacity. It can deliver up to 100 gallons per day of filtered water. The size is also great for fitting it easily under the kitchen cabinets. You will not have to worry about getting it to fit into the right location, as the size is perfect. This model is made of materials that are 100 percent lead-free. This helps to ensure that you end up with a unit that makes sure that the filtered water is safe for the users to consume. The use of the 5-stage filtration system might be common, but for this model it always delivers. This excellent filter will remove all the contaminants from the water, and odor too, and you will end up with water that tastes better. This model carries the WQA gold seal, which is an assurance that it is a great product. That’s just one thing you are going to like about it. In addition, there are the NSF certifications, more assurance that this model meets high build quality standards. Another important thing to note is that this is a five-stage filtration system, and how this will provide you with the best possible quality of water. Not many models on the market use a five-stage system, so you can always know that with this model you will have no worries at all. According to some studies, this system removes over 99 percent of the chemicals and contaminants in the water. You can be sure of refreshing drinking water at the end of the process. The model is designed in such a way that even inexperienced handymen will find it easy to install in no time. This is also thanks to the detailed manual you get with the product. You can also check out some DIY videos on YouTube and see how easy the installation is. The affordable pricing is another reason you will love this model. A product that is so cost effective will make it possible for you to save some money and still have clean water. You should expect to receive greater benefits when using a top product from a top brand. 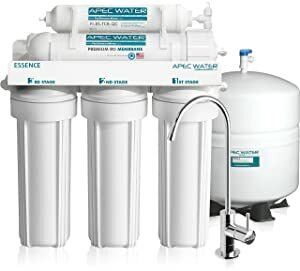 The APEC Company is known for making some of the best water filtration systems on the market today, and this is one of their best models. You can always count on this product to give you the performance you’re looking for. It is also made to be small enough to fit into the kitchen cabinets with no problem. You want to make sure that you end up with a model made to the right quality standards, and this one is made in the USA. Anyone looking for a high-end model would want one made in the USA, so this further shows that the model has met a higher standard of quality before going on sale. This filtration system is designed to ensure the delivery of high quality, clean and filtered water to your home at all times. With the capability to remove over 99 percent of the contaminants commonly found in water, it will ensure that you always have clean water to drink. This filter will also remove the bad flavors and odor, and thus you’ll end up with water that tastes better as well as being clean. In order to qualify as a top-notch reverse osmosis system, a water filter needs to meet a few important standards. Size: Unlike in the past, water filters nowadays are built with newly developed technology letting them have smaller, more compact size while still delivering quality filtration. A good reverse osmosis water filter should be not too chunky, making it easier for customers to move and set up the system. Efficiency: A reverse osmosis water filter needs to be able to filter out as many contaminants as possible from the water, up to 99%. Taste: It is important to care about how the processed water tastes after the filtering process. Clean and pure water is good but it also needs to be enjoyable. If the final water comes out tasting bad or smelling strange, the water filter is not good enough. There are more standards of a good reverse osmosis filter. However, those depend on you and your standards and what you are looking for. We will discuss later how to determine which is the best reverse osmosis water filtration system for you. More and more people are realizing the benefits and necessity of having clean and pure drinking water. This is making the water filter market expand day by day. 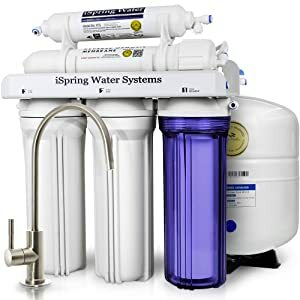 Proven to be one of the best methods for water filtration, the reverse osmosis water filter’s market in particular is expanding at a rapid rate. Among all the brands in the market, there are a few brands that have built for themselves an excellent reputation. These brands consistently produce good quality filter models. Here are the top brands in the reverse osmosis market nowadays. To be honest, it is not easy to answer this question. Among the brands on this list, there is no “bad” water filter. Any of these filters perform excellently. However, there will be some filters that suit you better than others. How do you find the best reverse osmosis filter for you? You need to ask yourself a few questions before choosing a reverse osmosis system. Do you want to set up your reverse osmosis system inside a kitchen cabinet or under-sink cabinet? What are the sizes of your cabinets? If you want to set up your system inside a cabinet, make sure that the size of the whole system, including both the filter and the tank, can fit in your cabinet. How does your tap water taste? If your water tastes strange to begin with, you may consider buying a reverse osmosis system that has an extra stage to adjust the taste and smell of your water. What is the pH level of your tap water? Test your tap water. If it is acidic, consider buying a system that has an extra stage to stabilize and balance the pH level of the water. pH balanced water is not only good for your health but also tastes better. How much do you care about the accessories that come with the system? If you do care about their quality as well as the system itself, remember to check the quality of the faucet and the included filters. 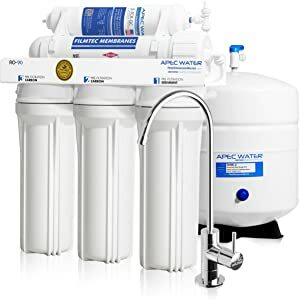 Depending on the original state of your tap water, you can judge what the best reverse osmosis water filter will be for you and your house. Since not every tap water starts at the same starting line, choosing a water filter system based on the tap water quality will help you reach a better finish line. There are many benefits of drinking filtered reverse osmosis water. Here are some of the most important benefits. Reverse osmosis filtration system can filter out many dissolved chemicals, one of them is sodium. Sodium is not a dangerous chemical so it is not often filtered out by other filtering systems. However, high level of sodium in the water is not only bad for your health but also makes the water taste bad. The reverse osmosis system is a system that is efficient enough to eliminate up to 99% of all dissolved chemicals and compounds, sodium included. Thanks to this, the reverse osmosis water is healthier than tap water. When cooking, any ingredients can affect the taste of the food. As water is an important part of many dishes, the impurities in water will affect the quality of your food. When you boil pasta, make soup or bake, strange tasting water will clearly have a negative effect on the food. By using reverse osmosis system, all impurities and contaminants including sodium, dissolved chemicals are removed, leaving the water as pure as possible. Therefore, it will not cause the food to taste odd or change the color. When you freeze water to make ice, have you ever seen the tiny particles or the cloudy clouds in the ice cubes? That is because of the impurities of the tap water. Using a reverse osmosis system will clear out 99% of all contaminants including dirty particles, odd taste, and cloudiness. Using reverse osmosis processed water to make ice will create crystal clear ice cubes. Similar to drinking clean and pure water will be beneficial for your health, using pure ice in your drinks will also be beneficial for your health. Impurities and chemicals in water can affect the taste of water. The reverse osmosis system can eliminate impurities as well as bad taste and strange odor. With a reverse osmosis system, the process will leave your water with no strange taste left and sometimes added minerals, making your water taste much better. The most important and obvious benefit of reverse osmosis water is the health benefits. Contaminated water can dangerously affect drinkers’ health. By using a reverse osmosis system, 99% of all contaminants are eliminated including dangerous chemicals and impurities. This will leave the water contaminants free and disease free, ensuring you and your family’s health. A reverse osmosis system is one of the efficient systems that requires not much effort to install. The whole system is simple enough to be self-install by anyone at home. You will just need to follow these steps. Before installing anything, you will need to decide where you want to install the system. Most of the system can fit neatly into any kitchen cabinet and under-sink cabinet. 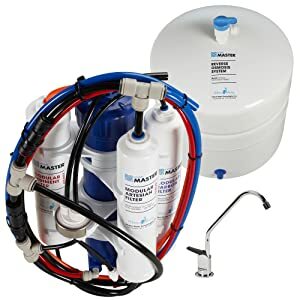 There are a few options to connect the cold water line to the reverse osmosis system. There is a standard method called the saddle valve. The package often comes with a saddle valve. You will need to assemble saddle valve clamp on the cold water line. Adjust the valve by tightening the belt so it is tight enough to fit the contour of the pipe. About 6 inches above the trap, drill a 5/16″ diameter hole through one wall of the pipe. Now, you can take out the drain clamp and start attaching the drain clamp to the pipe. Remember to make sure that the hole in the clamp is aligned nicely with the hole in the pipe. Then tighten the clamp. You are done with this step. For installation on porcelain, enamel, ceramic or metal or cast iron, you can start with marking the center of the counter a ¼” pilot hole. Then carefully drill a hole with masonry pit through the porcelain level. You just keep going until the metal shows. Remember to use light pressure and slow speed to not go overboard. When you reach the metal section, switch to a standard metal cutting and continue to cut through the metal. Keep enlarging the pilot hole until the hole reaches ½ inch diameter. Now, take the faucet out of the package. Disassemble hardware from the trodden shank. Then, you need to feed threaded shank through the sinkhole. Adjust and orient the faucet to make sure your faucet facing the correct way. From below sink, slide lock washer and hex nut through the threaded shank. Then, use a wrench to tighten the faucet carefully. Most of the reverse osmosis system comes with color coded tubes to help you install the system better. Connect the saddle valve to the units orange feed water line. Normally, there will be a plastic Delrin sleeve included in the installation kit. Use the plastic Delrin sleeve to help you with this step. Connect the black line directly to the drain clamp assembly you have set up earlier. Connect the blue line to the faucet from the system. Remember to turn on the system step by step. First, turn off the storage tank ball valve so no water can enter the tank. Then open the reverse osmosis faucet on the sink. The initial water dripping out from the faucet can be black or very cloudy in color, this is the water system flushing the carbon fines from the carbon filtering system. Let it keep dripping for 10 to 15 minutes before closing the faucet. Finally, open the valve of the reverse osmosis storage tank. Leave it open to allow the tank to fill. Once the tank is full, turn on the faucet and drain the whole system completely. Then do this process again. Shut the reverse osmosis faucet off and allow the system to refill. The home reverse osmosis system is connected to the cold water line of your home water system. When the water source turned on, the tap water will go through the reverse osmosis system. The water will be processed through many different stages of filtration. Then the water will be stored in the tank, ready to be used anytime. Whenever needed to be used, the faucet will be turned on and reverse osmosis processed water will come out. No more hassle or complications. Once installed, you can enjoy pure and tasty water anytime. There are many places you can buy a reverse osmosis system. With an expanding market for reverse osmosis system, you can buy a reverse osmosis system everywhere both online and in stores. You can find a reverse osmosis filter in many local hardware stores like Lowe’s and Home Depot. You can easily find these products on famous online retail stores like Amazon, eBay or the hardware stores online websites. If you want to find one, you can easily find one anywhere no matter where you are. So there is no obstacle in the way of you having pure and clean water for a healthier life. A reverse osmosis system can remove up to 99% of all impurities and chemicals in the water. It can remove hard particles, organic compounds, dissolved chemicals, and even bacteria. The system removes everything, no matter if the particle or chemical is good for your health or not. + Does reverse osmosis remove fluoride? + Does reverse osmosis remove chlorine? + Does reverse osmosis remove lead? + Does reverse osmosis remove bacteria? + Does reverse osmosis remove nitrates? + Does reverse osmosis remove salt? + Does reverse osmosis remove calcium? Reverse osmosis system uses a semipermeable membrane to remove ions, molecules, large particles, dangerous compounds and chemicals from drinking water. There are typically two types of membranes: CTA (Cellulose Triacetate) and TFC (thin film composite). The CTA membranes are made to allow contact between chlorine in the water and the membrane. This type of membrane needs a small amount of chlorine from the water to prevent bacteria from forming a layer on it. Reverse osmosis system that uses this membrane often has a rejection rate for impurities at 85 to 95%. The TFC membranes are made of synthetic material and do not require any chlorine to work. On the other hand, the TFC membrane needs most of the chlorine to be removed before the water runs through. This type of membrane has a rejection rate for impurities of 95 to 98%. In general, reverse osmosis water is at least 85% pure, making it one of the purest form of water for daily consumption. Many reverse osmosis may last 10 to 15 years depending on how well you take care of your system. The most important thing you need to pay attention to is changing the filter. You should set up a schedule to regularly change the filters. Read your manual carefully to know how many stages are there in your system. Depending on the number of stages, you can know how many filters and what filter you can use for what stage. Much reverse osmosis systems use carbon filters. Carbon filters should be generally replaced once every 12 months to make sure the filters always stay in top notch condition. There is nothing as important as the filters in your system. They take care of the most important jobs within the reverse osmosis system. Take care of your filters carefully so you can make the whole system not only last longer but also provide more efficient and quality water. As mentioned before, reverse osmosis water is very beneficial for your health. However, reverse osmosis water also has its fair share of disadvantages. The water becomes ‘too pure’. The reverse osmosis system removes up to 99% of all particles including good bacteria and mineral particles. Together with many dangerous and harmful particles, many good and necessary-for-health particles. Your water will become tasteless and will do nothing for your health neither improving nor degrading your health. Most of the water coming out of the reverse osmosis system is acidic. When all the minerals are removed from the water, the water will be left acidic. Acidic water is not good for maintaining a healthy pH balance in your blood since your blood needs to be slightly alkaline. Some medical research also proved that drinking acidic water in a long time will cause a mineral imbalance in the body. There is both benefits and disadvantages of using reverse osmosis water for plants. For growers who need to control the level of nutrients and minerals feeding to their plants, using pure water will give no effect for your plants, neither good or bad. There is no impurities or any form of minerals in the water, so you can use as much reverse osmosis water as you want with no worries that the balance of minerals and nutrients of your plants is disturbed. The problem with reverse osmosis water is the waste of water while going through the process. With one gallon of water, after going through the filtration system, there will be maximum about ½ of the gallon of water left. Normally, the water wastage is about 1:3 ratio for average reverse osmosis water. If you have a large garden, be prepared for a big water bill. Nothing is perfect. So is reverse osmosis water. However, the benefits of reverse osmosis water are worth more than the disadvantages. Having clean and healthy water is very important. And nowadays, when it is easy to buy yourself and set up a reverse osmosis system at your home, there should be nothing stopping you from drinking healthy reverse osmosis water. What are you still waiting for? If you worry about your tap water at home, get yourself the best reverse osmosis system. I have a water softener installed yet after hand washing and machine washing my glassware has streaks and spots. I also have a RO system and after hand washing my glassware and rinsing it with the RO water I still have streaks and spots although less than just using the softened water. The company who installed both my softener and RO system came out checked my water and told me that was the best they could do for me. Do you have any recommendations that could alleviate my problem? Can a regular mixing valve bar faucet be used with an under sink reverser osmosis system? Or do you have to use the typical filter water faucet? If so, why would the RO system not push water through the faucet?